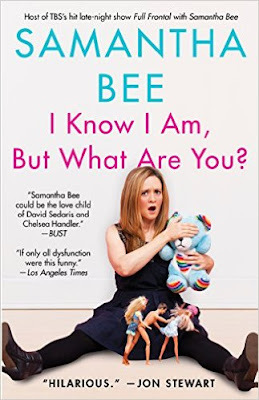 This is the autobiography of the author - Samantha Bee. She tells her story about her childhood - growing up with divorced parents who couldn't be more different, how she rebelled as a teenager, and the man she finally fell in love with. She talks openly about how she went from an awkward, introverted only child to the person she portrays on TV today. This was a great book. It was funny and genuine, and I enjoyed how she talked about her "shortcomings" and childhood antics. I recommend checking it out if you want a good laugh. Her show on TV - Full Frontal - is one of my favorites, so I knew that this book would not disappoint.